Shipping directly to your chosen address is free on orders that exceed 1.000,00 kn inside the borders of Republic of Croatia! Ordered clothes will be shipped to customers preferred address with express shipping within 8 working days from the received conformation about availability of the product. Shipping won’t be charged if the order exceeds 1.000,00 kn. For the orders minor than 1.000,00 kn shipping is charged 35,00 kn. If there is no possibility to deliver the product, the customer has a right on a full refund of money in amount of product price and delivery costs, as well as possible refund for the costs of return of incorrectly shipped product, if Maria fashion is not able to organize the product takeover. Nevertheless, the customer is obligated, without withhold, to return the incorrectly shipped product on our address Marija modna odjeća, Donji Macelj 95B, 49225 Đurmanec, Croatia. For the orders minor than 1.000,00, shipping is charged 35,00 kn, while for the orders that exceed 1.000,00 kn the shipping is free. If you notice that the package is damaged you are not obligated to take the package, nevertheless you are authorized to request a new delivery. We kindly ask you to inform us about that problem on info[at]marija-m.com or through our contact form. The deliveryman will leave a notice with which you will be able to pick up your package at the closest, assigned post office. If the delivery on service exceeds 8 days, please contact us so we could track your shipment as soon as possible. The products ordered through Maria fashion web shop are sent with express delivery courier service within 8 business days starting from the day you received and e-mail notice. 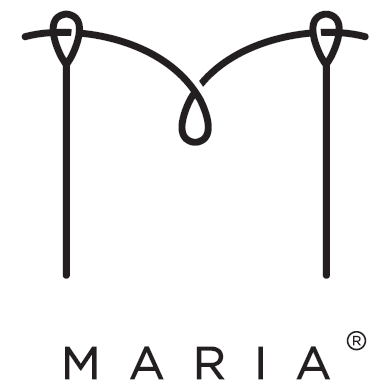 The right on unilateral contract termination (return of order) has every Maria fashion web shop customer. How can I ask for unilateral breach of contract or return of ordered products? You have the right, without adducing the reason, unilaterally breach the contract of purchase within 14 days from receiving the package. The contract will be breached with written notice about breach of contract by filling the FORM FOR UNILATERAL BREACH OF CONTRCT or by other ambiguity proclamation through which you express your will of termination. The buyer is obligated to deliver the previously mentioned form or proclamation to the Seller, through the sellers address or e-mail info[at]marija-m.com. The form can be downloaded on the following link: OBRAZAC ZA JEDNOSTRANI RASKID UGOVORA. Does everyone have a right to return the product? The right to return the order has every single costumer on every item. To obtain the right on unilateral breach of this contract (return), you need to contact us about your decision of unilateral termination of the contract before the deadline. The same thing is obtained by filling in and sending us the form downloadable on the top of the page or through other ambiguity proclamation through which you express your will of termination. An example of unilateral termination of contract form, which you can find on our web page, you can fill in and send it to us via e-mail. The contract can be unilaterally terminated within 14 days without explaining the reason. The confirmation of receiving the notice of unilateral termination will be delivered without withhold to your e-mail address. If terminate the contract unilaterally, we will refund the money received from you without withholding, and within 14 days from the day we have received your decision of unilateral contract termination. Money refund will be made through the same way you made your payment. Money refund can be made only after we have received the items. It is considered that you have accomplished your obligation in time if you send us back or give over the product to authorized person before the deadline established earlier. You need to cover the direct cost of item return.